SACLA is an X-ray Free Electron Laser (XFEL) on the SPring-8 campus in Japan. This is a new X-ray source distinguished by the high-brightness, high coherence and short pulse of the light that is generated. It has the capacity for five beamlines, the first to be built being beamline 3 which is in the hard X-ray region. 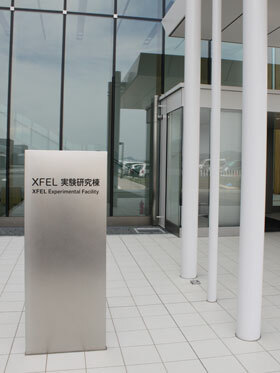 Toyama has been involved in supplying much equipment to XFEL including the whole of the first experimental beamline. All these have been specially designed by Toyama along with the SACLA project team to work in this new area of XFEL. Use the links for more information about the Mirrors, Monochromator or Beam profile monitors.